Bill Belichick: Love Him, Hate Him, But Don't Deny He's An Original The time has come to recognize that Bill Belichick is the best pro-sports coach of this century, says commentator Frank Deford. The defending champion New England Patriots are undefeated, on that rare road to repeat, but, of course, except for the denizens of the northeast corner of our nation, the Pats are mostly unloved. It's not the sort of antipathy directed toward the Yankees. That's always been the anti-plutocrat sensation. Rather, there is about the Patriots the sense that they're rather untrustworthy, if not downright nasty — not America's Team, but more America's Gang. Or, perhaps more accurately, the Belichick Gang. 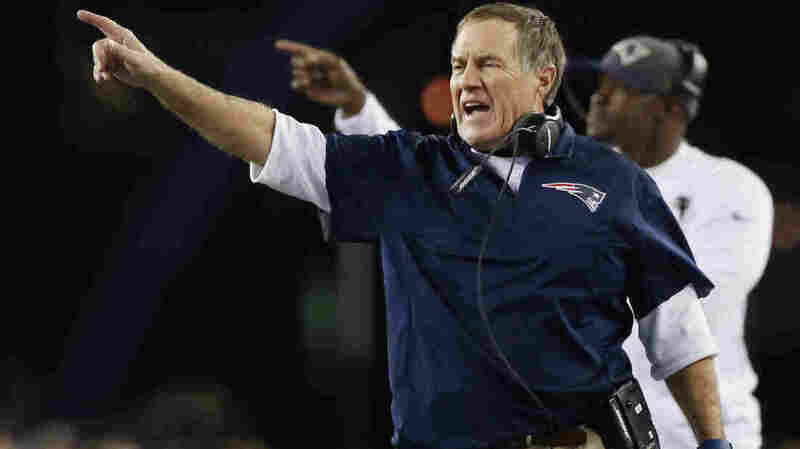 But, would you dispute that Bill Belichick is our U.S. coach of this century? Click the audio to hear Frank Deford explain his love for the New England Patriots' coach.